Get the cool Hanging Chair at 50% off the regular price. 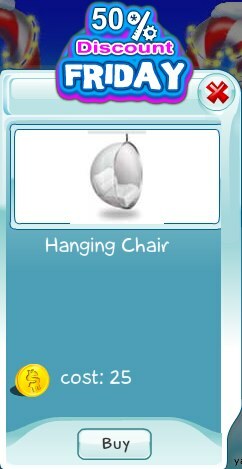 This is a great chair to "hang" around in with your buddies, so get a few to decorate your home. This offer is valid today only, so act quickly.